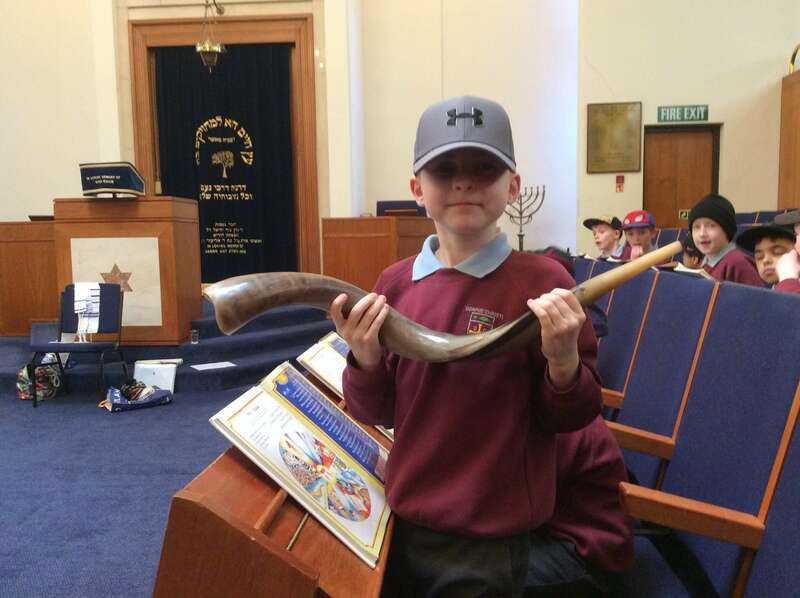 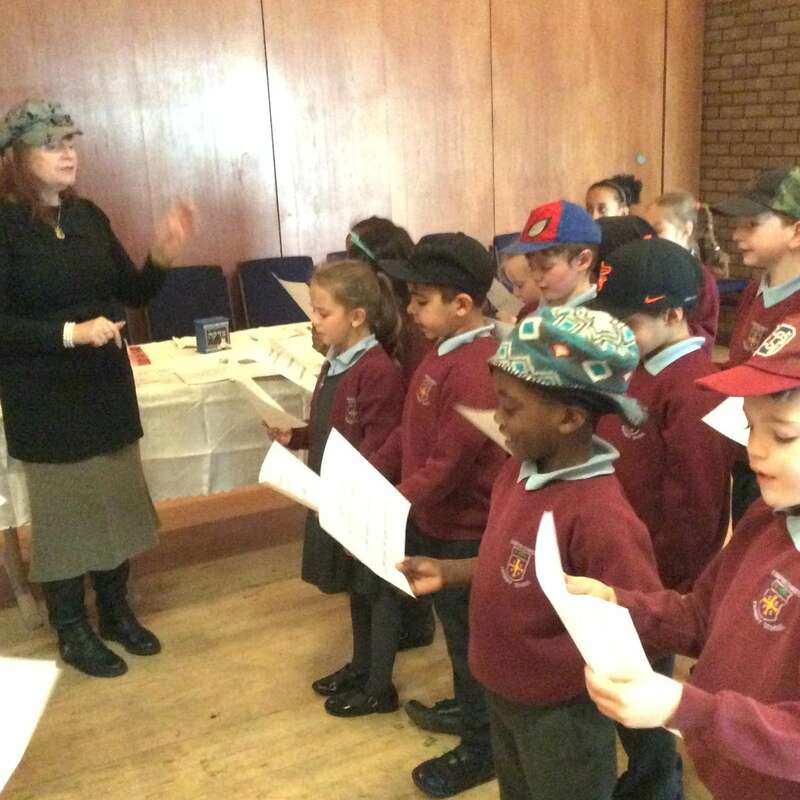 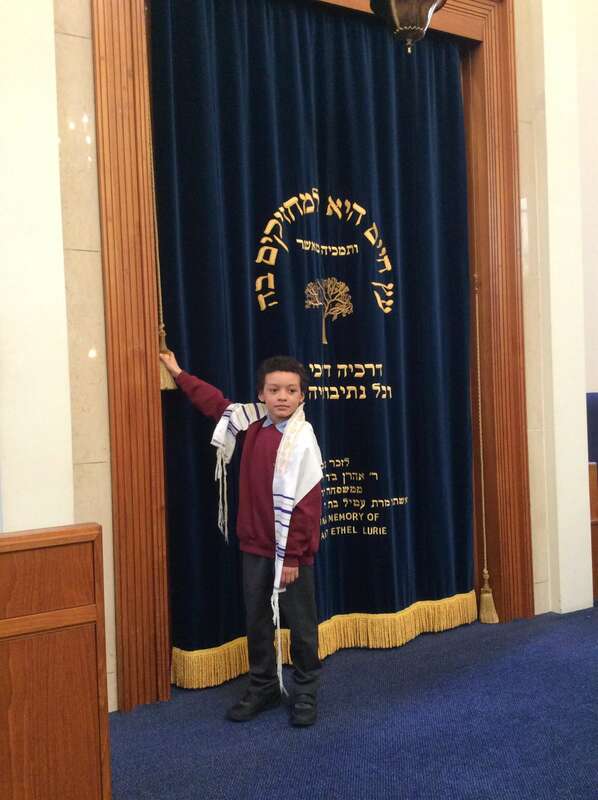 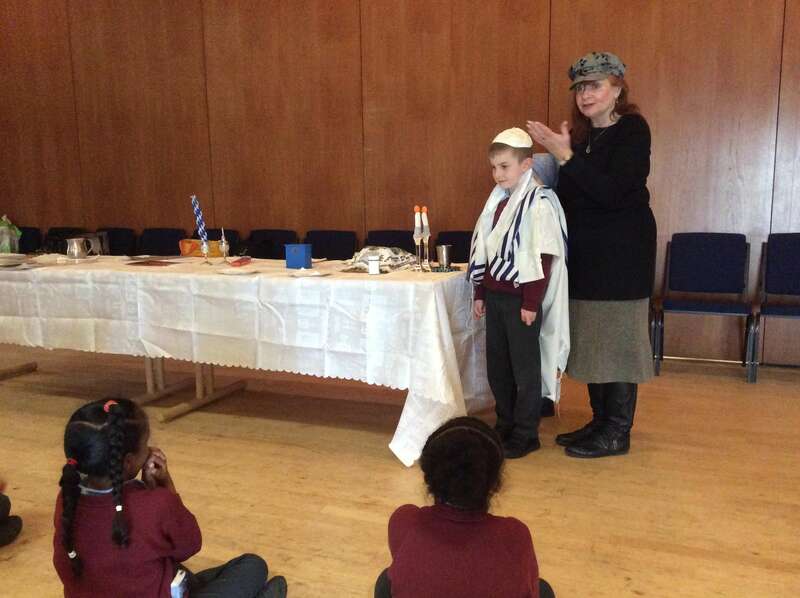 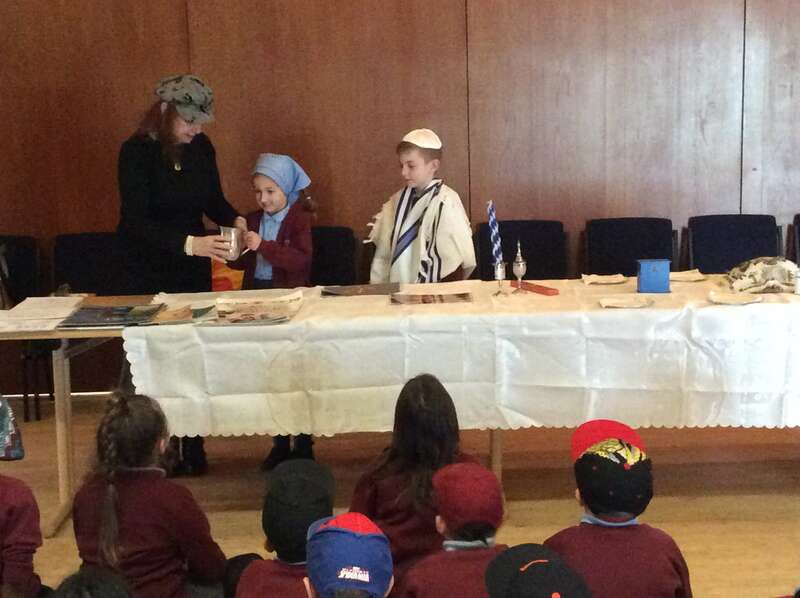 Year 3 and 4 had a fantastic visit to Gosforth Synagogue in Newcastle today. 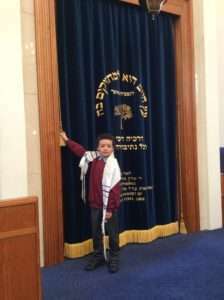 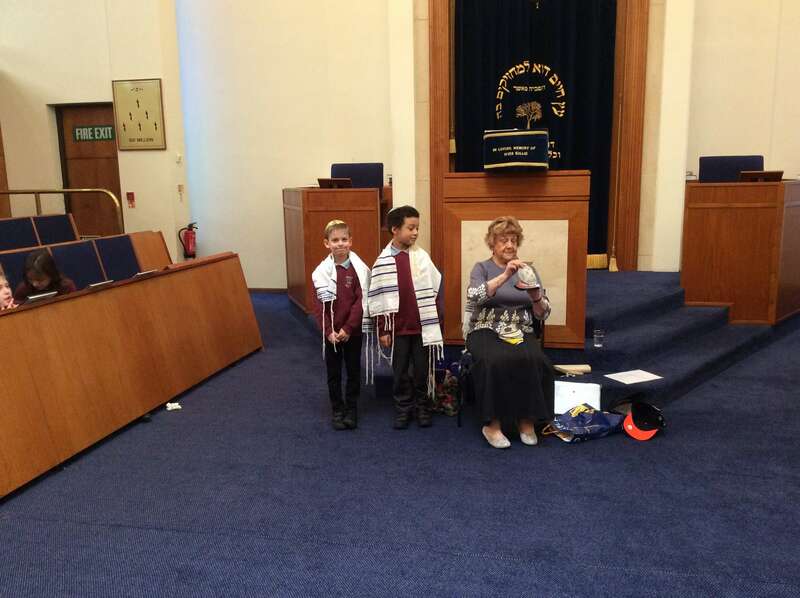 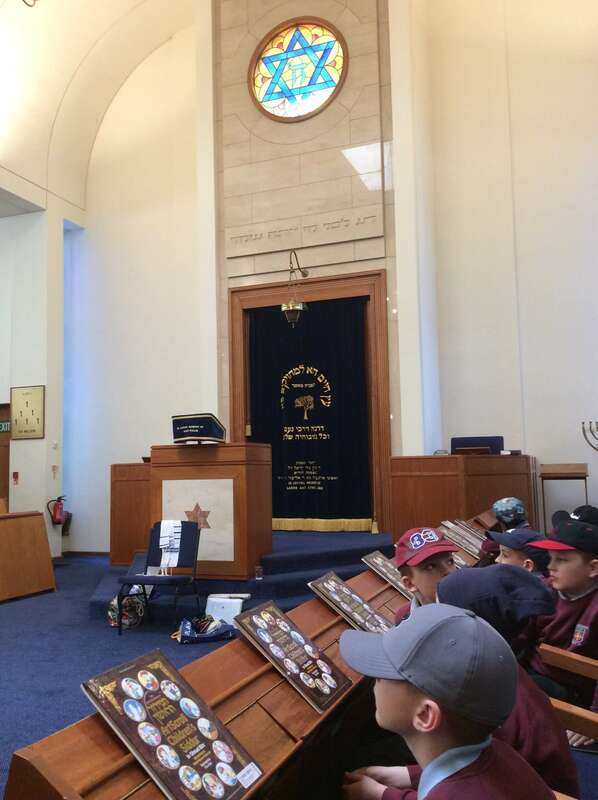 Year 3, with the boys all wearing hats and caps, first learnt about the mezuzah- a small wooden box containing a prayer which is placed on the door frames of Jewish homes. 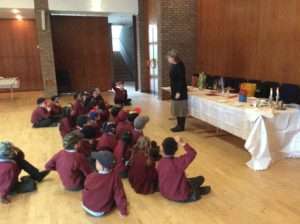 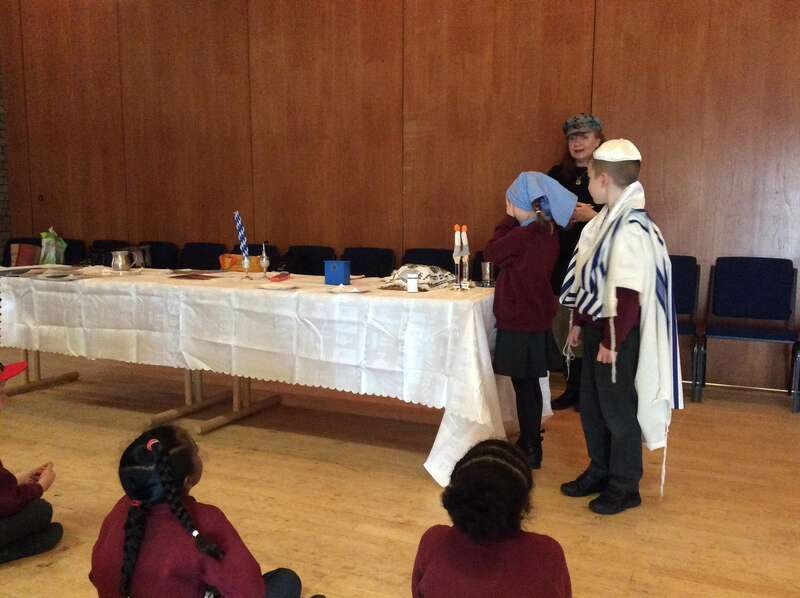 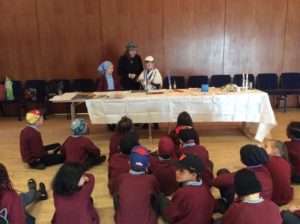 Next the children experienced what happens during Shabbat, the Jewish day of rest. 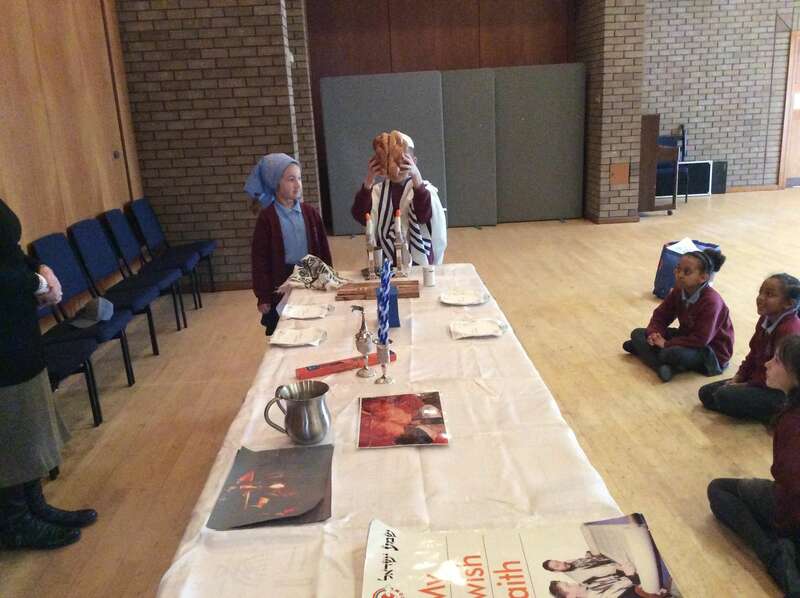 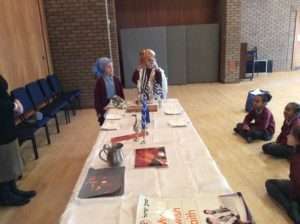 Two of the children were dressed in traditional costumes and they acted out what happens during the shabbat meal. 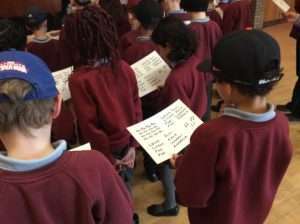 Following this, we learnt three songs and sang really well in Hebrew! 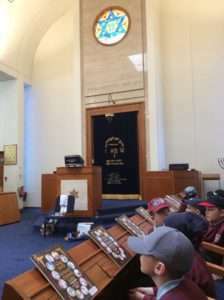 We then went into the prayer hall of the synagogue. 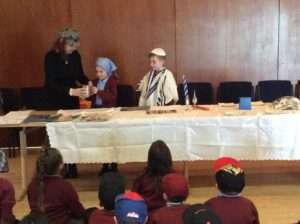 The children sat separately with boys on one side and the girls on the other, as is the Jewish tradition. 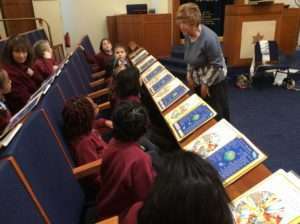 We looked at prayer books, which intrigued the children because they opened the opposite way to our books back in school! Some of the boys were dressed in a tallit- a prayer shawl- and we were even lucky enough to open the Ark and view the Torah Scrolls inside. 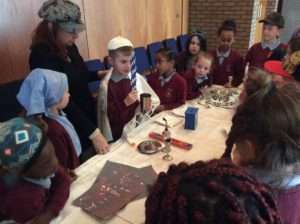 This was a very special moment. Throughout the visit all of the children’s behavior was excellent and they really impressed our hosts with their knowledge and understanding of Judaism. 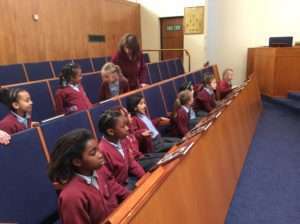 It was a really interesting and informative visit and the children were so respectful. Well done all! Article 30: You have the right to practice your own culture, language and religion- or any you choose. 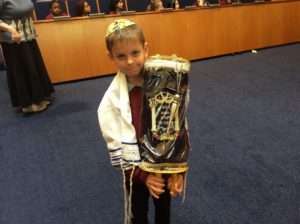 Minority and indigenous groups need special protection of this right.